So that is a picture of what I've been eating for lunch all week. It's a chicken salad sandwich that involves avocado and chipotle mayo. If you know me you know I am a sucker for avocado and chipotle so I've been a pretty happy camper this week. Avocados add a nice creamy texture so you can add less mayo, which means it's a healthier option than chicken salads that are normally loaded with mayo. I was a little hesitant that Mr. KMW would boycott this sandwich since he LOVES mayo, I honestly wouldn't be surprised if I caught him eating it out of a jar with a spoon like ice cream, but he is a huge fan of this lightened up version. Another great thing about this chicken salad is that I used a rotisserie chicken so it's super easy to make. Are you sold yet? You should be. Here's the recipe. As always, taste as you go and adjust ingredients accordingly. Mix together all ingredients. Adding more mayo or seasoning as needed. 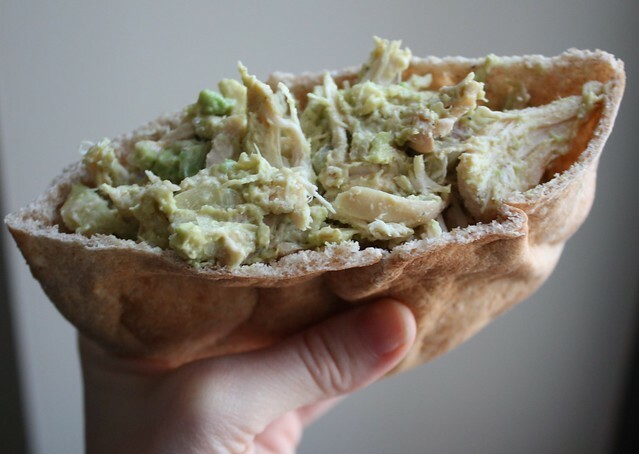 Spoon chicken salad onto bread or into pita and enjoy! You would like it since there is not a lot of mayo! I had never had avacado until a couple of months ago, now I can't get enough of it. This looks great, can't wait to try it! Welcome to the good side, avocado is absolutely delicious! And healthy too! I'll be posting more recipes soon as I just won a dozen avocados in a giveaway. 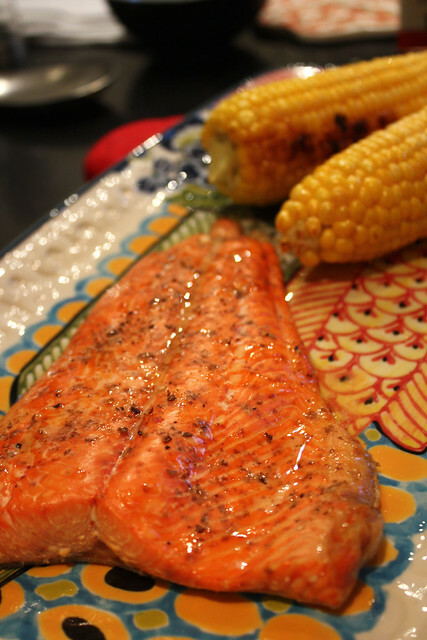 This recipe was great, thank you! I'm currently enjoying it right now. I added a handful of honey toasted slivered almonds to it and it added just the right crunch! I'm glad you enjoyed it, the almonds are a great idea! I'm going to have to try that out next time I make this. You may be able to purchase Chipotle mayo at your grocery store, I was always able to find it in mine. 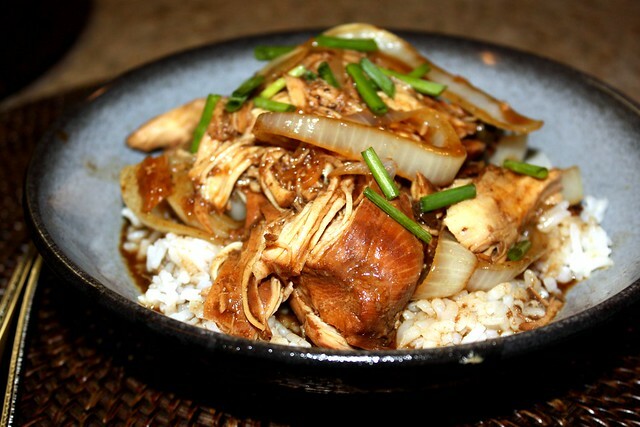 But you can also make it by mixing mayo with a little sour cream,1- 2 chopped chipotle peppers in adobo sauce (using about 1 to teaspooons of sauce depending on how spicy you like it), 1/2 teaspoon of garlic powder and 1 to 2 teaspoons of lemon juice. Great recipe! I didn't have most of the ingredients available, but really liked the avocado/chipotle mayo concept, so I just used what I had. (I think I may have a cooking disorder, as well: I can never follow a recipe verbatim.) I used tuna, avocado, chip. mayo, and tomato on baby greens. It was fabulous! 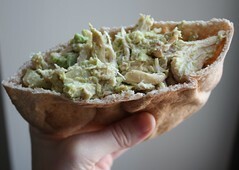 I love the chipotle mayo/avocado combo, and it really turns tuna/chicken salad into something totally different, but just like the original it is very versatile as to what you can add to it. 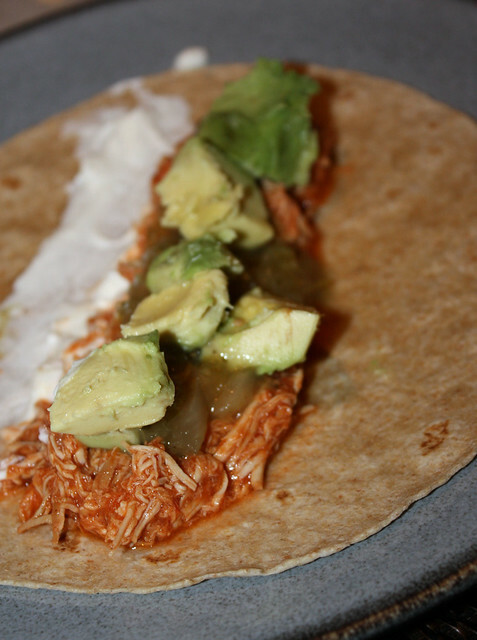 I'm thinking about making some chicken enchiladas with a chipotle mayo/avocado sauce, too.